The Black Management Forum (the BMF) has the pleasure of announcing Thabile Wonci as the new Managing Director. Thabile Wonci is joining the BMF as its Managing Director from an investment bank where he was responsible for financial reporting, controls & oversight, overall business management and driving the operational strategy for the Sub-Saharan Representative offices. He has over 12 years of corporate experience and brings with him significant wealth of knowledge that spans across different industries such as life assurance, property investment management, fast-moving consumer goods and banking. the BMF President, Mncane Mthunzi commented. Mr Wonci completed his MBA degree at the Gordon Institute of Business Science (GIBS). He also holds a Postgraduate Diploma in Business Administration and Postgraduate Diploma in General Management from the same institution. His other qualifications include a Postgraduate Diploma in Management Accounting (CIMA Strategic Level) from UNISA, BCom from NMMU and has attended the Duke Leadership Executive Program at Duke University in the United States. The Black Management Forum (the BMF) will host its Annual Conference on Thursday, 12 October at Gallagher Convention Centre, Midrand, Johannesburg. The Annual Conference brings together a number of executives, senior managers and business leaders from all provinces to meet and discuss, under a specific theme, current issues affecting the socio-economic transformation landscape and the further development of South Africa. These issues are critical, pertinent, provocative and require intense interrogation by leaders and managers today. The Conference aims to engage government, civil society and business leaders to finding solutions to these issues. The 2017 Conference theme is: The South Africa We Deserve, continuing with the BMF’s theme for 2017. It has been 23 years since our freedom and democracy, and yet we still grapple with how we could achieve total transformation in our society. The rainbow nation of Archbishop Emeritus Desmond Tutu seems to be elusive. If we are to have prosperity and peace in our country, we need to have the dividends of our freedom and democracy cascaded down to all citizens. South Africa has to meet the challenges of building a truly inclusive economy that will address the injustices of the past. The South Africa We Deserve will propel socio-economic transformation. “South Africa is at a crossroad as far as leadership is concerned. We have to make difficult choices on leadership from politics to business and society broadly. We need to raise the bar and create high standards of leadership. As South Africans, we deserve a leadership that loves its people; a leadership that wants to make a positive and sustainable difference in the lives of its people. We deserve a corrupt-free leadership that puts its people first. The leaders that we deserve are resourceful, responsive and responsible. South Africa is a rich country and does not deserve to have poor citizens. We should all make the efforts to be more patriotic and sympathetic to the plight of our people – for our people to live in a country they deserve. The late former BMF President Lot Ndlovu once reminded us that “leadership which based on values does not sacrifice transformation.”” Commented BMF President, Mncane Mthunzi. The Black Management Forum (the BMF) which is at the forefront of advocating and lobbying for transformation in Corporate South Africa, would like to congratulate Mr. Sim Tshabalala on being announced as the sole Chief Executive of Standard Bank. “We are pleased and excited about this announcement. Standard Bank has shown that they regard transformation as a business imperative and are making concerted and deliberate efforts in ensuring that the transformation gains are not reversed. This demonstrates the bank’s seriousness about succession planning and respect for black talent and leadership” says BMF President Mr. Mncane Mthunzi. The BMF trusts that this announcement will mark an end to the joint CEO appointments phenomena that we have come to see. These joint CEO arrangements are never in the best interest of companies as they demonstrate a lack of succession planning; an overburden of the payroll with excessive executive pay and lacks accountability as two people are responsible for a single bottom line. The Black Management Forum extends its well wishes to Mr. Tshabalala and pledges its unwavering support to him as he takes Standard Bank to greater heights. 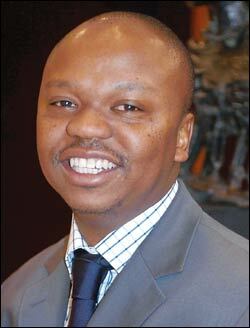 The Black Management Forum (the BMF) which is the foremost organisation in the development of managerial leadership and advancement for socio-economic transformation in South Africa is elated with the appointments of Saks Ntombela as the Hollard Insurance Group (Hollard) Chief Executive Officer (CEO) and Vuyani Jarana as the new Chief Executive Officer (CEO) of South African Airways (SAA). “We would like to applaud the progressive and exemplary appointments made by Hollard and SAA. It is gratifying to us to see that there are still companies who regard transformation as a business imperative and continue to make concerted and deliberate efforts in ensuring that the transformation gains they have achieved as a company are not reversed,” says BMF President, Mncane Mthunzi. The appointments of Ntombela and Jarana go a long way in dispelling the lack of black skilled professionals myth that Corporate South Africa continues to use as an excuse for not appointing black executives in these critical positions. “Hollard has demonstrated their seriousness about succession planning and respect for black talent and leadership. Ntombela’s appointment inspires us as black professionals that we have a future in these companies and that our talents can achieve greater heights,” Mthunzi added. “Jarana’s appointment further dispels the phenomena that we have witnessed where black CEOs are replaced by white CEOs in companies led by our own black Chairpersons. Jarana’s appointment is motivating to us as SAA has not relied on cadre deployment but has appointed a competent and professional executive to lead and turn around the parastatal,” Mthunzi continued. The Black Management Forum extends its well-wishes to Mr Ntombela and Mr Jarana and pledges its unwavering support to them and their businesses. Mr Ntombela will assume the role on 1 October 2017.